A beautiful and sweet inspiration board playing with the meanings of the word ‘wild’ and the color peach! Enjoy! I love this! 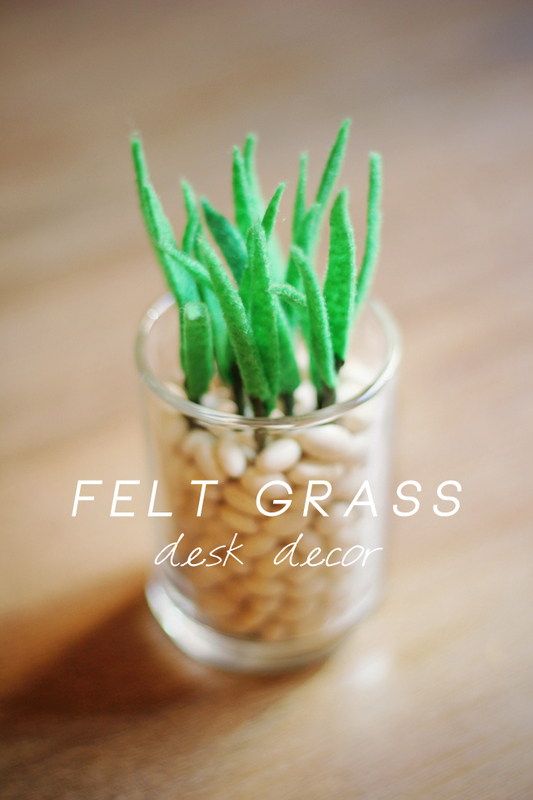 It’s whimsical and dainty – each blade of grass delicately made by hand. 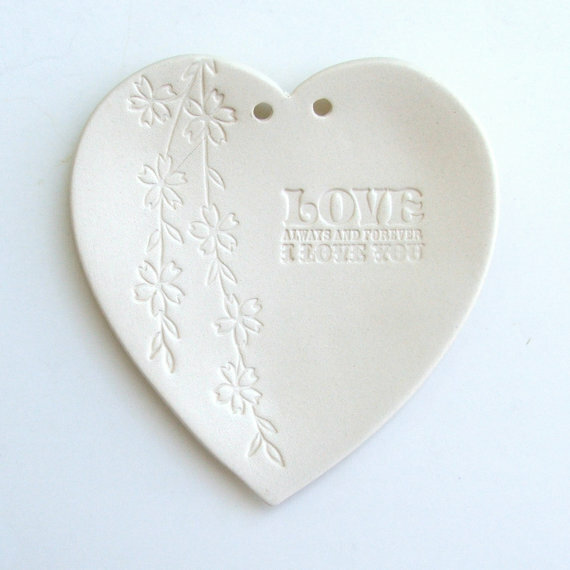 This would make cute gifts or wedding favors! 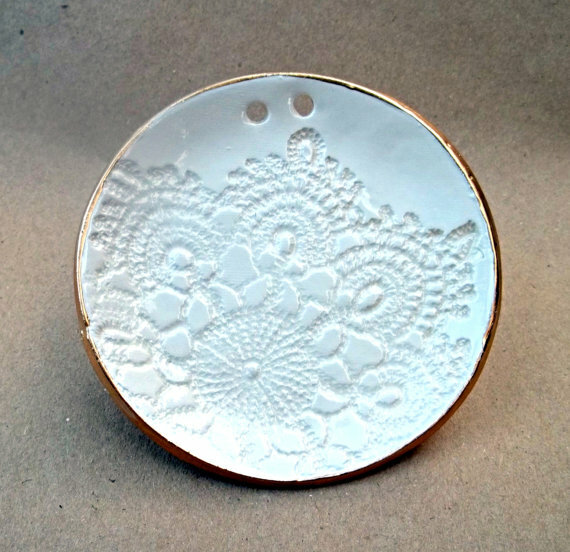 Today we have a roundup of some talented Etsians popular for their ceramic ring bearer dishes. 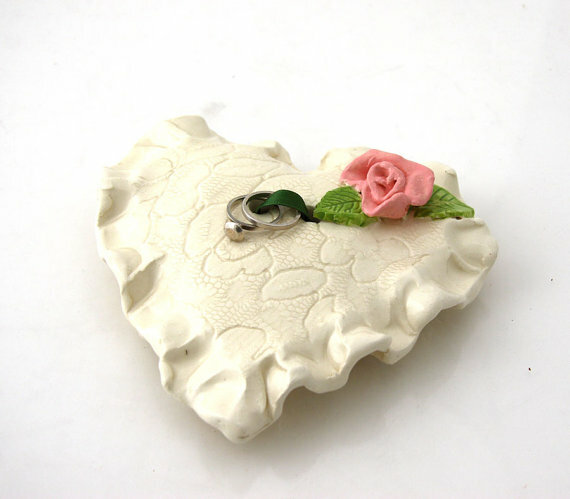 Elegant, delicate, and great item for keepsakes! 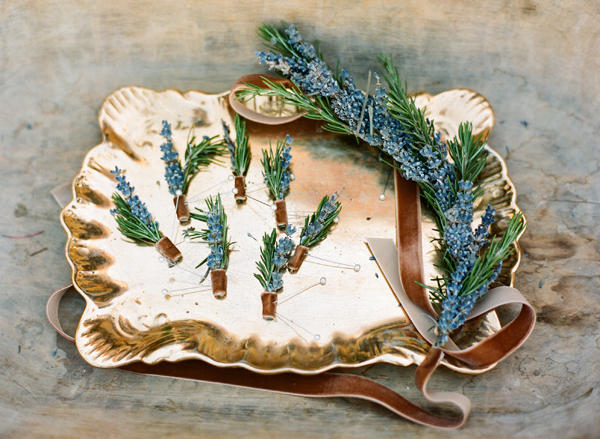 Gorgeous Greek inspired wedding with this rosemary & lavender boutonnieres. 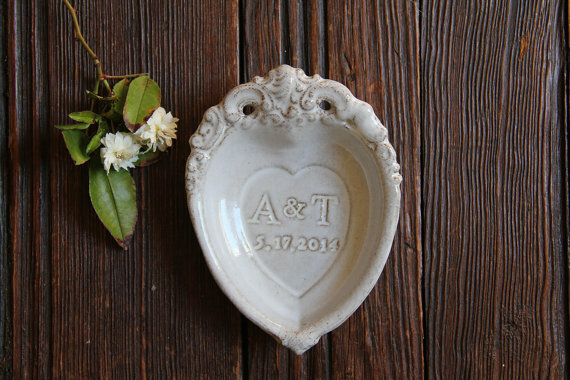 A must have photo in all weddings, displaying accessories on a vintage tray. See the full wedding here. 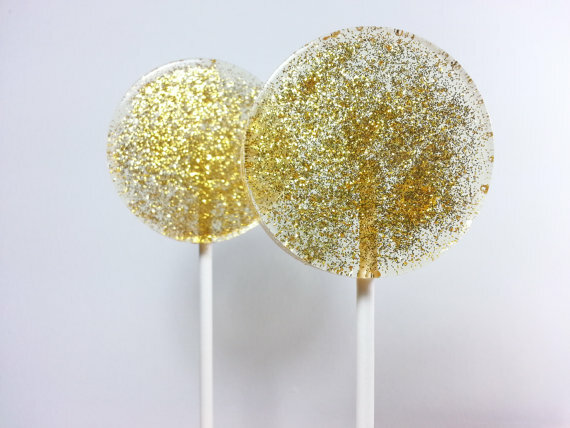 These edible gold glitter lollipops would make the perfect wedding or bridal shower favors! Beautiful! Naturally the bride and the groom are the most important part of the wedding, but the maid of honor is a close second. After all, the maid of honor is the bride’s right hand and she is there through the planning, staging, crying, shopping, laughing, etc. As my sister’s maid of honor, I was her right and left hand. I handled a million tasks and was her go-to person for every wedding planning dilemma. I was more than happy to do the job, but when you accept that role you have no idea what you’re in store for. My goal is to educate the future MOH’s of the world on what is expected of you, what you’ll experience and what you can do to be the best maid of honor a bride will ever ask for. If you’re naturally organized this task will come easy, but if you’re like me, you’re going to need some help. There are a lot of things you’re responsible for as the maid of honor — planning the bachelorette party, going with the bride to fittings, organizing meetings, etc. I suggest making or buying a planner that you can devote to the maid of honor role solely. Use that planner to write down important dates, meetings, and contact information. I also use mine to keep track of my sister’s favorite online gift resource and what has been bought by whom. A maid of honor who misses appointments isn’t a reliable one, so set appointment reminders in your phone or email as well — that way you get an extra reminder aside from your written planner. The bride is busy (and stressed) with the wedding planning. As the maid of honor, you’re her go-to and liaison between everyone else involved in the wedding. You’re likely the person who controls the wedding party, which means you should probably introduce yourself to them all. 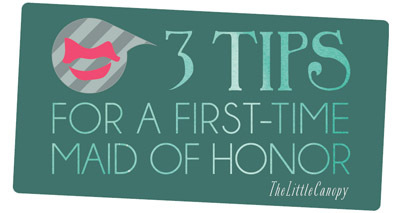 It’s important to start off on the right foot with the bridal party and introduce yourself as the maid of honor. Even if you cannot meet them in person, shoot them a “hi nice to meet you” email or give them a call. Once you know everyone involved in the wedding, you will be more comfortable handing off little tasks to them — yes, you can do that. Now that you’re friends with everyone, you need to remember to be the bride’s best friend. 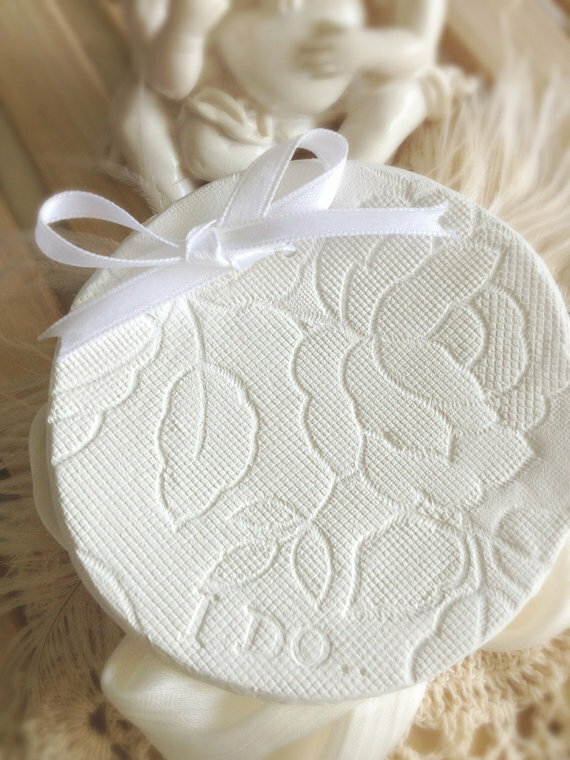 Do what you can to take a few of those wedding to-do’s off her list. While you cannot do them all, every little bit you’re able to do for her helps. Consider doing the pick-ups, dropping off items, calling vendors to check-in, etc., to help her save a little time. I learned a lot as the maid of honor for my sister’s wedding, including how many things can go wrong. Just like the girl scouts and boy scouts always preach, you should always be prepared. 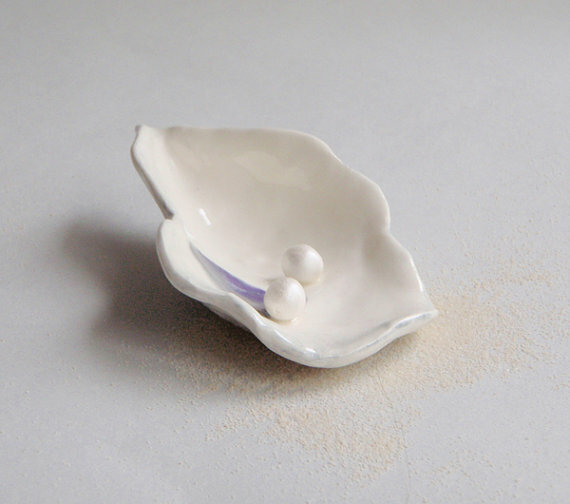 I suggest bringing along a number of things on the actual wedding day, including things like my favorite stain pen, hair pins, mints, a copy of the bride’s vows, tissues, eye makeup kits and something for the headaches (for all party members). Pack a bridal party emergency kit with the essentials and the things you wouldn’t think you’d need. Lastly, remember that wedding planning is stressful. 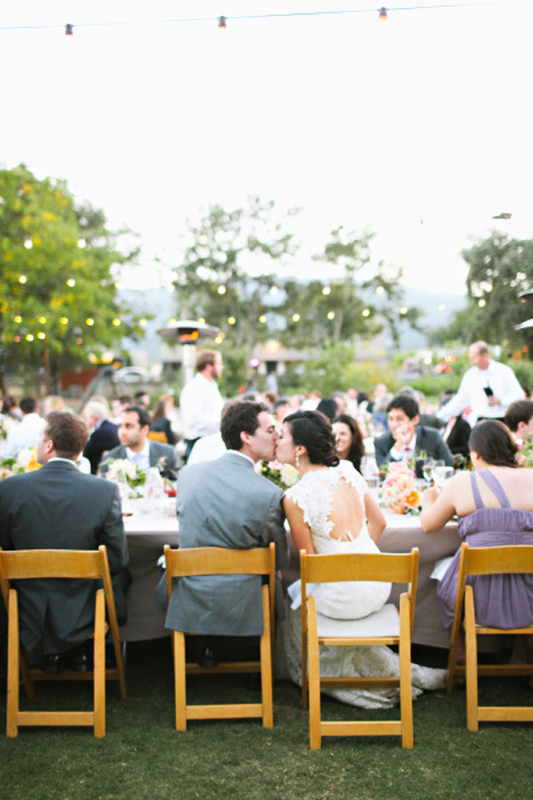 Try to take yourself and the bride out on a regular basis and get away from the wedding planning. Go to dinner or see a movie and don’t discuss the wedding what-so-ever. 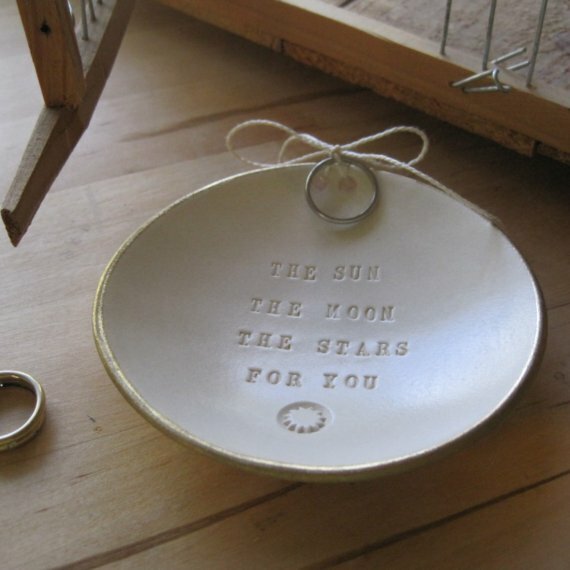 The more relaxed you keep the bride, the easier the planning process will be. Make jokes about the process to lighten up the stress level. And of course, empathize with the bride. Be there to let her vent her frustrations and do what you can to make her smile. My sister relied on me to not only help her with the planning process, but keep her sane. By being there for her, through it all, you can make this the perfect wedding everyone will remember.